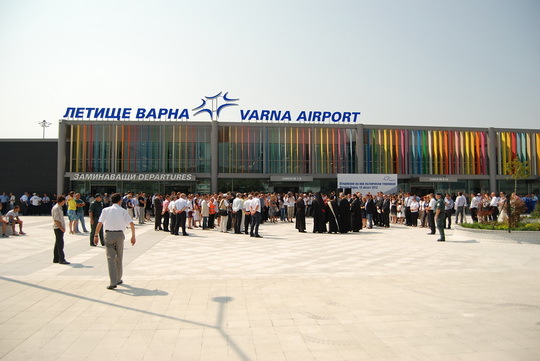 Varna Airport (Bulgarian: Летище Варна, Letishte Varna) (IATA: VAR, ICAO: LBWN) is the airport of Varna, the historical maritime capital ofBulgaria. Varna Airport is the third largest airport in Bulgaria. The airport is located 10 kilometers from the center of Varna near the town of Aksakovo. In 2012, the airport handled 1,211,196 passengers, a 4.1% increase compared to 1,163,884 handled in 2011. The history of the airport dates back to 1916 when two sheds for the first hydro-port in Bulgaria were built in the Peinerdzhik area (present-day Chaikaresidential area). Irregular mail-plane service from Sofia to Varna was held between 1919 and 1920 and it was not until 1947 that a permanent airline between the two cities was established. What had grown into Tihina Airport was situated west of the present-day Asparuhov bridge and was indeed quite primitive for the demands of a modern city. Thus in 1946 a decision was made and a new airport was constructed several kilometres west of the city, near the village (now town) of Aksakovo, with local people enthusiastically working on the site together with the constructors. Construction and improvement continued throughout the years, with a new terminal erected in 1972 and a new runway in 1974. 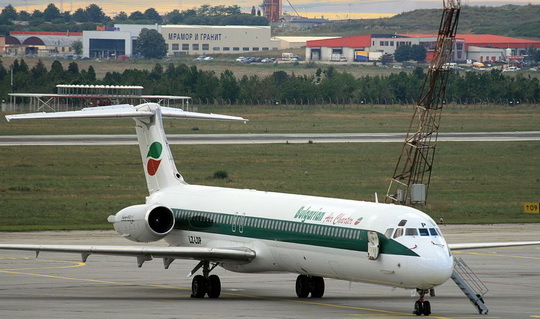 There are domestic and international flights to about 70 destinations in 25 countries, with Bulgarian and foreign airlines. The airport is close to thePort of Varna and the railway system. The airport has one concrete pavement runway 09/27 with ILS CAT I system on 09 edge and a parking apron for 24 aircraft. Currently, Varna Airport is subject to heavy traffic with the growing tourism industry in Bulgaria and is in need of major investments to modernize, expand and handle projected passenger traffic. 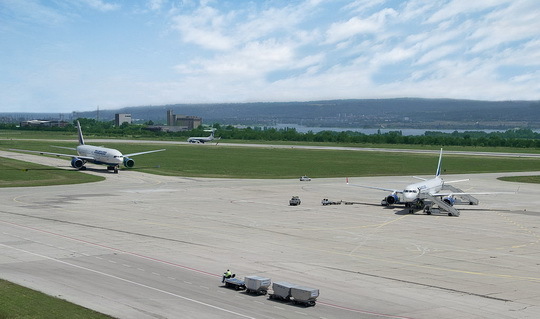 In June, 2006 the Bulgarian Government awarded Fraport AG Frankfurt Airport Services Worldwide a 35 year long concession on both Varna and Burgas airports in return for investments exceeding �500 million, including a new passenger terminal by 2008. 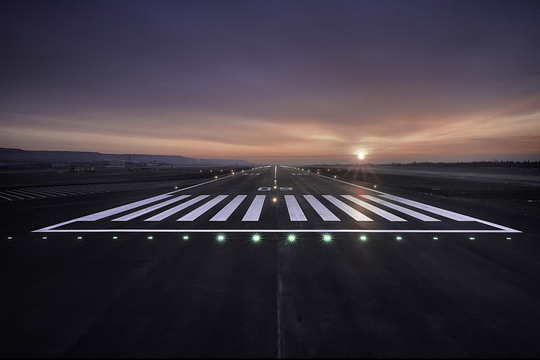 From 15 October 2011 until 28 February 2012, Varna airport was closed for a reconstruction of the runway. 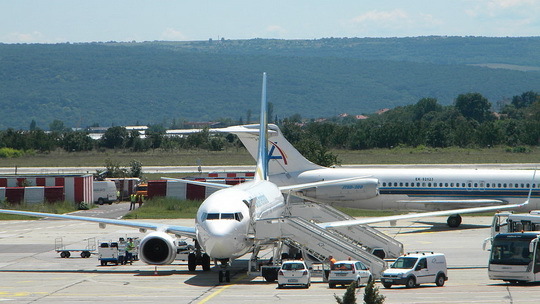 All flights were operated on Bourgas Airport. The airport has two terminals: Terminal 1, which is in use year-round, and Terminal 3 (opened in June 2007), which is used during the summer season. Terminal 2 is being built. Terminal 1 at Varna Airport was built in 1972, and has been extended several times over the years. The departures area has 21 check-in counters and six security checkpoints. In the terminal there are various outlets: cafes, fast food restaurants, currency exchange, and duty-free shops. There are ten boarding gates. The arrivals area has two luggage belts, as well as currency exchange and a tax-free shop. Terminal 1 of the Varna airport has a VIP room and business lounge. In 2010 the VIP room at Varna Airport was renovated. In December 2011 began construction work on new Terminal 2. The new terminal will have a capacity of 1,800,000 passengers and 25 check-in desks and covers an area of 18,000m2. The new terminal buildings are designed so that it can their capacity, if necessary, be further increased as an extension to the existing architectural part. Construction of new terminal should be completed by the summer of 2013. 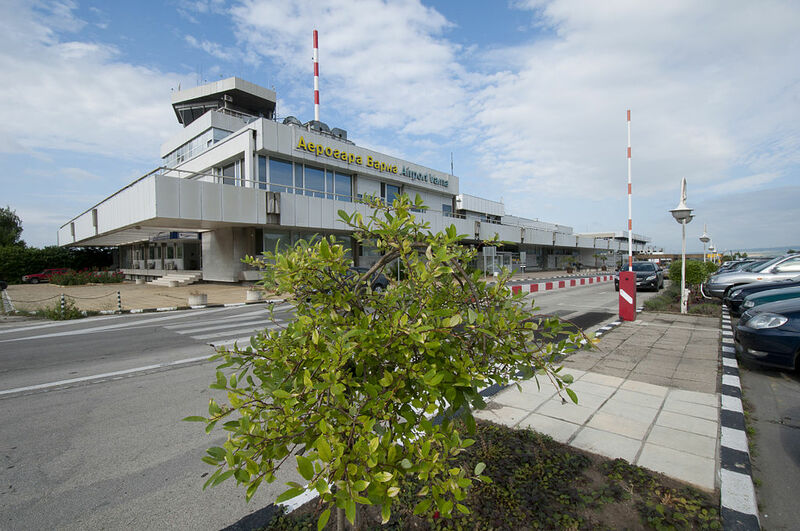 The new terminal is official opened on 27 August 2013 and the old Terminal 1 is closed for flights after 41 years of operations. 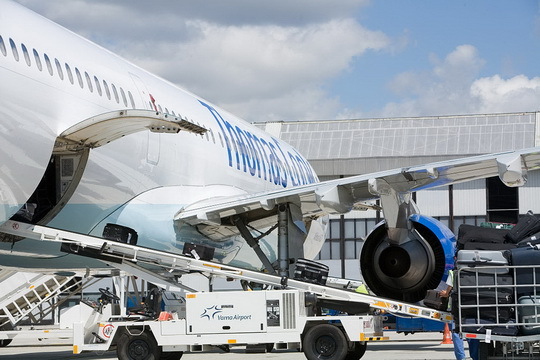 The first passanger service is domestic flight to Sofia operated by national carrier Bulgaria Air and first international passangers served in the new terminal is from Minsk with flight of Belavia. Varna Airport - Varna Airport new terminal. There are domestic and international flights to about 75 destinations in 29 countries, more than 65 Bulgarian and foreign airlines. The busiest season for the airport is from the end of May to the beginning of October. Varna Airport - Bulgarian Air Charter McDonnell Douglas MD-82 LZ-LDP at Varna Airport. 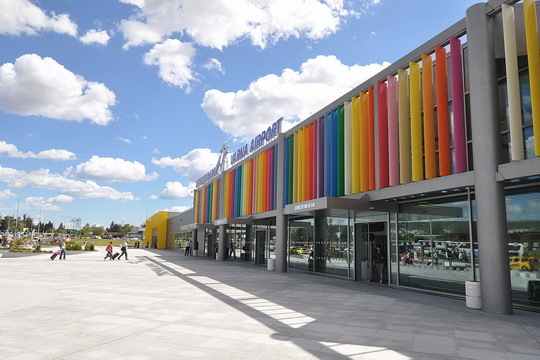 The Airport Bus stop to Varna and nearby resorts is located just outside Terminal 1. The taxi piazza are located in front of Terminal 1 “Departures”. A taxi ride from Varna Airport to the city center takes approx 15 minutes, depending on the traffic intensity and will cost around 7�15 Leva. Varna Airport has contract for taxi services with the so-called “OK Taxi”". The parking of Varna Airport is located front of Terminal 1. The car parking is accessible 24 hours a day. 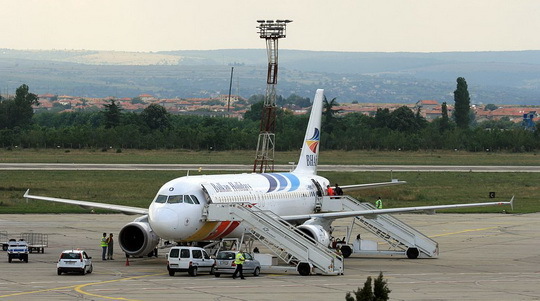 On 24 May 2013, Air VIA flight 502 from Leipzig to Varna overshot the runway at Varna Airport after touchdown. Two people onboard were injured during evacuation.